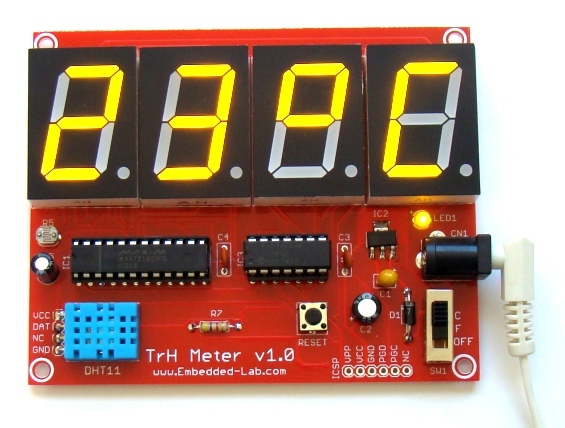 TrH Meter is a DIY digital room thermometer plus hygrometer that displays temperature and relative humidity on 4 large (1 inch) seven segment LED displays which adjust their brightness level according to the surrounding illumination. 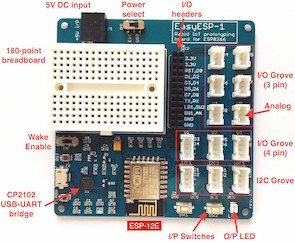 It consists of a closed loop system that continuously assesses ambient light condition using an inexpensive light-dependent resistor (LDR) and uses that information to adjust the brightness of the display. 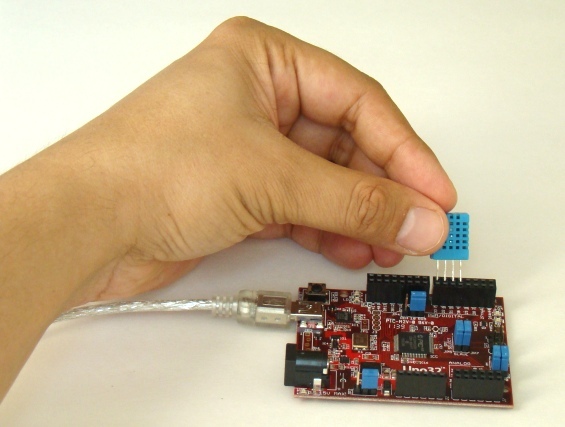 An inexpensive DHT11 sensor is used to measure temperature and relative humidity. 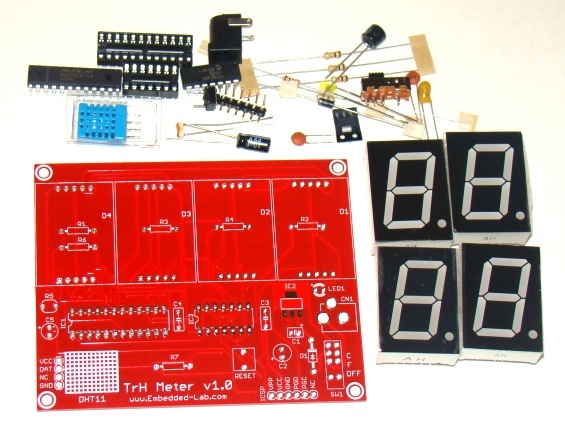 You can buy a complete TrH Meter kit with a preprogrammed PIC microcontroller for $26.00. 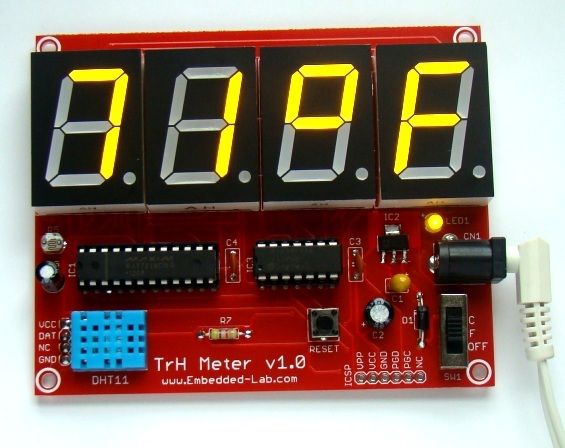 Tindie buying link for TrH Meter kit. First of all I would like to thank all of those who preordered the TrH Meter kits during the fundraising campaign that we ran on Tindie. It’s because of your support that we successfully launched this project. 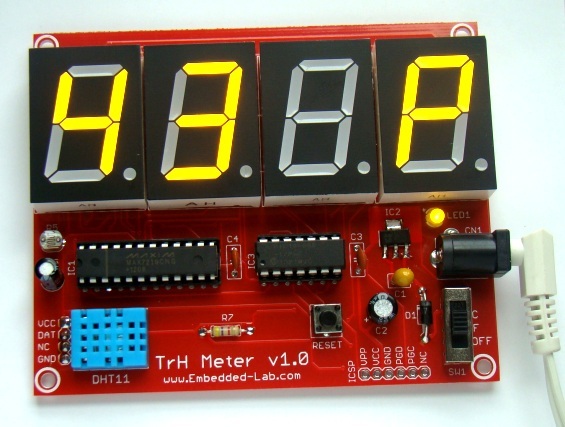 Please follow the soldering instructions provided below while building the TrH Meter. 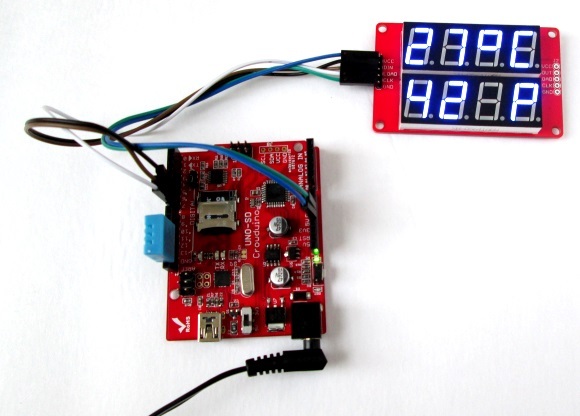 This project is about building a microcontroller-based digital room thermometer plus hygrometer that displays temperature and relative humidity on 4 large (1 inch) seven segment LED displays which adjust their brightness level according to the surrounding illumination. It consists of a closed loop system that continuously assesses ambient light condition using an inexpensive light-dependent resistor (LDR) and uses that information to adjust the brightness of the display. 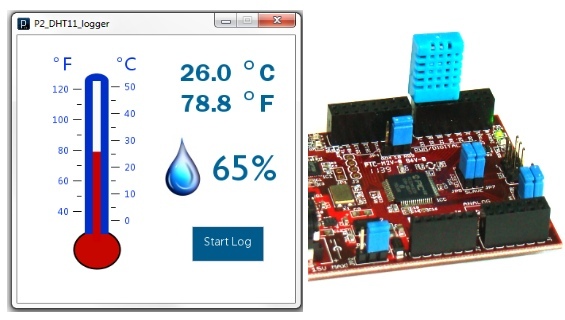 An inexpensive DHT11 sensor is used to measure temperature and relative humidity. The microcontroller used in this project is PIC16F688, and it runs at 4 MHz clock generated from its internal source. A separate display driver chip (MAX7219) is used to control and refresh the display data on the seven segment LEDs.